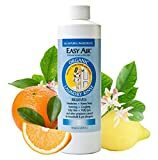 For those with indoor allergies or asthma symptoms (pronounced asma)… Mite-Nix Anti-Allergy Relief Spray destroys the “air-borne contaminants” that irritate nose and eyes, cause uncomfortable skin rashes, and trigger dangerous respiratory reactions. A light mist (sprayed onto mattress, pillows, upholstery, drapes & carpets) instantly neutralizes all indoor allergens. Say goodbye to the agony brought on by a pet’s fur, dander or saliva. Eliminate symptoms caused by dust, mites, even your own perspiration and skin cells. It’s Mite-Nix to the rescue! Now anyone-at any age-can breathe easy and enjoy life, allergy free. 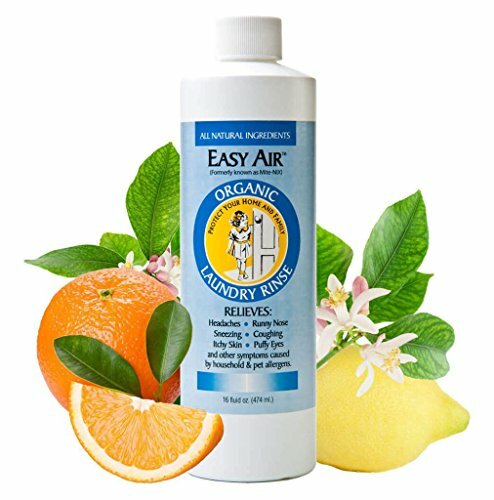 No more puffy-red eyes, runny nose, coughing & wheezing, headache or itchy & splotchy skin… Mite-Nix Anti-Allergy Laundry Rinse does what other allergy products and detergents cannot do. It cleans washable fabrics down to the microscopic level, de-activating the invisible allergens that cling to clothing, towels, bed linen and other household laundry items. Using the dual-action power of these two powerful, all-natural, 100% organic liquid formulas: every room can be as invigorating and comfortable as a fresh mountaintop oasis. All natural ingredients. Safe for children and pets. Safely cleanses your home of allergens that provoke dust mite allergies, pet allergies, and chronic asthma symptoms. 100% organic and biodegradable. Safe for children and pets. The Ecology Works Anti Allergen Solution Laundry Detergent, 40 oz. Allersearch ACARIL Laundry Additive 8 Oz.